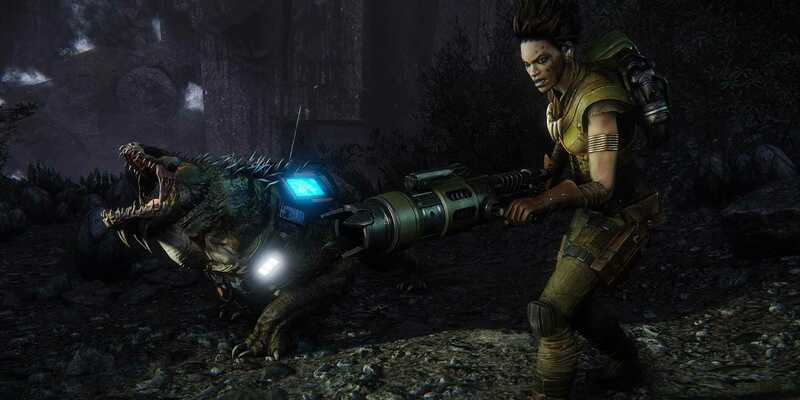 Turtle Rock StudiosIn ‘Evolve,’ the object of the game is for a group of human ‘hunters’ to work cooperatively together to take down various monsters. We checked out one of next year’s much-hyped video games “Evolve” over the weekend during a closed Alpha demo on the Xbox One and had a blast. The upcoming co-operative (co-op) multiplayer game from “Left 4 Dead” makers Turtle Rock Studios and 2K Games was pushed back earlier this year until February after a small Alpha test back in August. Here’s what you should know about the game. 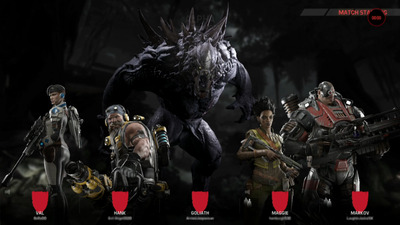 Unlike the popular “Left 4 Dead” franchise which pits four players against another group of four players, “Evolve” is a 4v1 game. 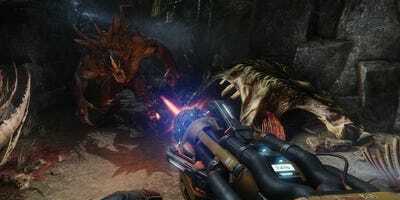 “Evolve” will also have a single-person campaign level which we don’t know anything about yet. The Alpha focused solely on the multiplayer aspect which is what we expect to be the huge draw to the game. The objective for the hunters is simple: kill a monster before it “evolves” (there’s where the title of the game comes into play) into a stage 3 killing machine. 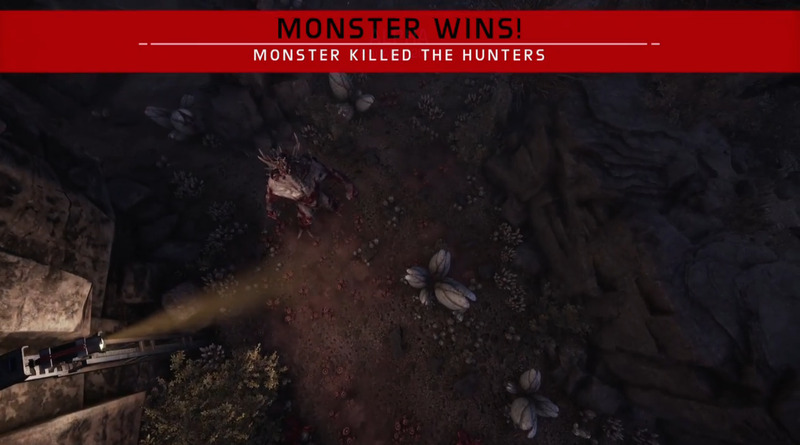 If you’re the monster, you obviously want to avoid the hunters on the map you’re playing. Instead, you focus on getting stronger by feeding on small creatures found throughout the levels. When you (hopefully) get to level three, you have two options to win: kill all of the hunters or destroy a generator, referred to as a power relay, found in each level. If you’re feeling lucky, you can do both! 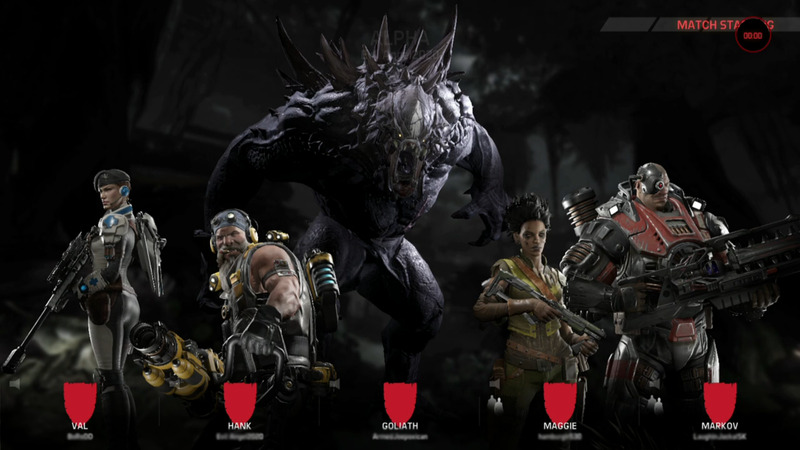 “Evolve” is supposed to have up to 12 different hunter characters to play as who fall under four categories. We only viewed four of them although eight of have been unveiled. Each player has a different job that is vital to working together as a team to take down the monster. We’ll go through these from left to right leaving the monster for last. The trapper is tasked with tracking down the monster. 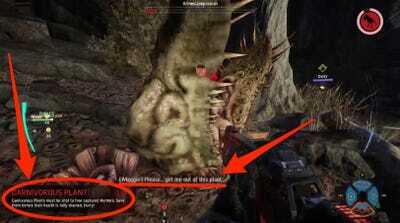 One of the characters, Maggie (above), has a pet Daisy which will help find the monster on the map. Trappers also have the ability to cast a giant net under which to trap the monster for a set amount of time. A harpoon gun let’s them lay down traps that will latch onto the monster and keep it in one place. Turtle Rock StudiosMaggie and her pet Daisy make up one group of Trappers in the game. There are also a number of monsters gamers will be able to play as but the Alpha only unveiled two the Goliath (seen above) and the Kraken, which we’ll get to in a bit. During gameplay, we weren’t allowed to choose our player. However, we could recommend our character of choice which usually resulted in us playing who we wanted. If you were playing with a bunch of AI robots, you were able to swap between the hunter characters to try out each role. You were extremely lucky if you got to play as a monster. OK, so what was it like? Teamwork was key. If gamers didn’t stick together, they risked getting lost and eaten by the monster or worse — by random creatures and plants on the map. Evolve via EvilAngel2020/TwitchYou never know when a giant plant is going to pop out of the ground and eat you. Thankfully, a teammate was around to save the day. The monsters definitely weren’t easy to defeat. The bigger they got, the worse it was for us. We mostly played a monster called the Goliath and when it started breathing fire or throwing boulders, you didn’t want to be in its way. Everyone on the team wore jetpacks which had a booster that allowed us to keep up with the monster. It was a favourite of the team to use to easily traverse across each map. It didn’t always work out in our favour. Turtle Rock StudiosThe second monster unveiled in ‘Evolve,’ called the Kraken. We definitely haven’t had enough time to play through the entire Alpha, but since it was just extended until Nov. 4 we may get some more game time in before it ends. I’ve seen other reviews worry about the game’s shelf-life, a concern I had of my own. After talking to people who play the game though, it’s easy to see this is a game people will play for the multiplayer aspect alone because of the co-op teamwork. Not only are there a variety of options to play as, but when the game eventually comes out next year, there will also be a multitude of arenas. If you don’t want to play alongside your team members, you can play as the monster trying to hunt down your friends. 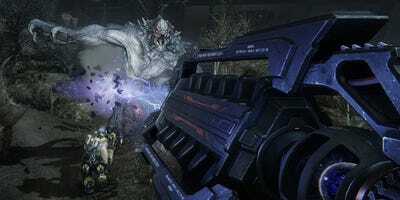 Being able to play on multiple teams gives the game a similar feel to “Left 4 Dead,” a game series that has sold more than 12 million units. 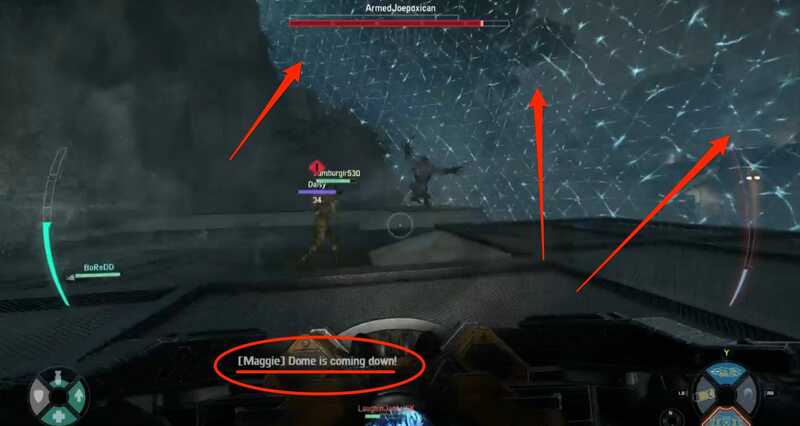 The multiplayer feature reminds me of watching custom player games in the “Halo” franchise like “Infection” where one player will be a “zombie” and will chase other players around to kill and turn them. Obviously, “Evolve” is a bit different. 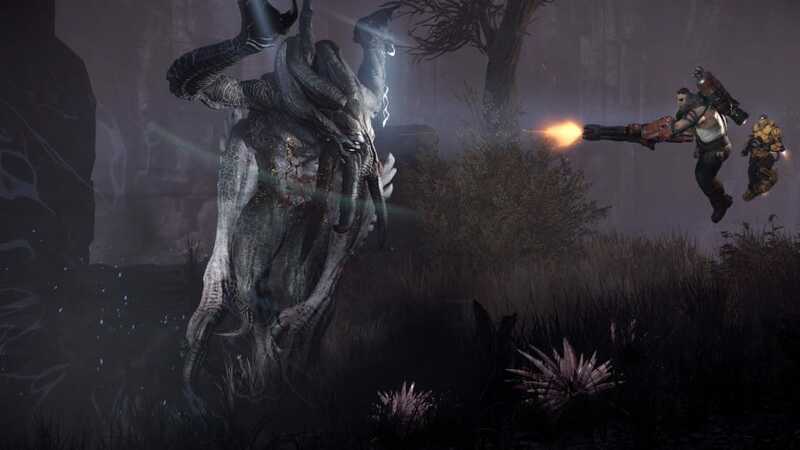 Evolve via EvilAngel2020/TwitchGamers spent a lot of time over the weekend looking at variations of this screen which gave tidbits and hints about the game. This isn’t nor should it come as a surprise. This is an Alpha. It’s not the finished version of the game. It’s a sample of the game made to get feedback from players to make it even better. We actually found a trick that seemed to make the wait time for a match go faster. We quit the game, went back in and the game generally booted up pretty fast to get us back into game play. Was it annoying? A little, but it was better than twiddling our thumbs waiting for servers to load. In multiplayer, you can wait to get put in a game with a group of strangers from anywhere around the world, play with the computer, or join a party of friends and play with them. Since the game relies on teamwork of your entire group to succeed, I’ve seen some complaints about getting stuck with a player who has no interest in playing nice with the group. This is silly. In these sorts of games, you’re most likely going to be playing with people you know, not random gamers who aren’t up for completing the team objective. If you’re playing with someone who’s weighing down the team, you can simply leave your match and join up with another group. “Evolve” is aimed at those who play multiplayer games together. If you played Turtle Rock Studio’s last game, “Left 4 Dead 2” with a group of friends, you’re probably going to play this game. When you have a solid group of players working together, “Evolve” is a beautiful thing to watch. Xbox One players will have access to an open preview Beta of the game January 15, 2015 before the game’s official release February 10, 2015 on PC, PlayStation 4, and Xbox One.